This is a quick and simple way to prepare Hawaiian shrimp kebabs any day of the week that the entire family will love. Combine soy sauce, pineapple chunks, 3 tablespoons/45 mL of pineapple juice (from the can), oil, garlic, Sriracha and 1/2 of the green onions in a large resealable bag. Turn to mix. Add shrimp. Refrigerate for 30 minutes. 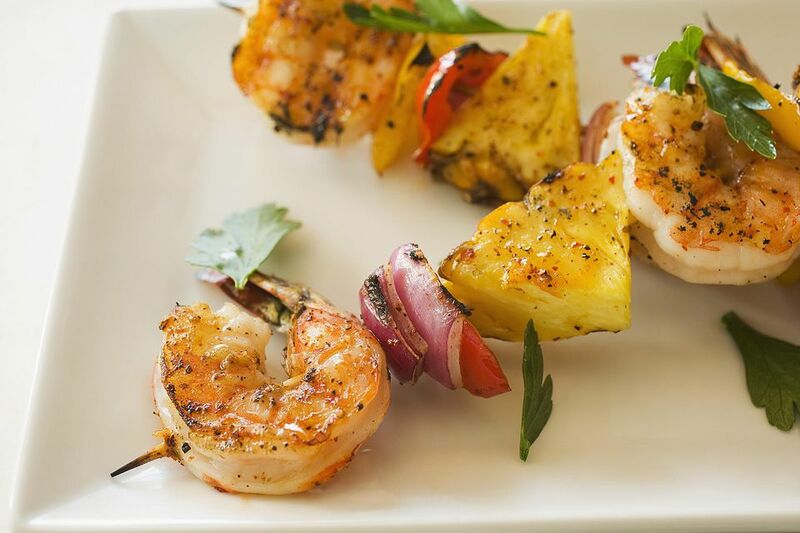 Remove shrimp and pineapple from bag and thread loosely onto skewers. Preheat grill. Grill kebabs until shrimp is completely pink all around. Served garnished with remaining chopped green onions.